This was the year I planned to keep a low profile. When the year started I had around thirty watches and I was content with the sum and the combination of watches. Sometime around new years I got this chronometer Longines back from service. When new it was advertised as one of the world's most accurate watches. Mine works within chronometer standard and that is sufficient enough for me. At about the same time I got my second Lemania "Viggen" SwAF chrono back from the same watchmaker. Totally against my normal philosophy, later during the year, I sold it. My only defense is that I still have one in the collection. The one sold went to a good home with a nice American collector. Maybe not a true vintage watch (1993) but in February I got my (quite old) SD back from service and it was well worth the wait. This one gets a lot of wrist time. Also in February it was time to start a, since long, planned project "Plain DJane". I already had the 1603 and finally found the right dial and smooth bezel to create a really plain looking DJ. Depending on lighting the dial is grey, greey or just greeey. Another semi-old watch and since long planned project was due in March. Bought a cheap "Bond" or actually it is a "pre-Bond" even if that normally means the Seamaster before this model. This actual watch is from the year before the film and even if it since then has been called "Bond" it was not marketed as such in the beginning. Long rant but I hate the Bond-connection and Omegas relentless "limited" editions of them. My project was to combine original parts and create a watch I thought Omega should have made - but never did. A 2531 Seamaster with 2255 dial and hands. Mission accomplished. It competed too much with my titanium Seamaster 300 (2231) and was sold (again very unusual being me). In April this Heuer Autavia got a service and started to work as good as it looks. There are some different references of Autavias that have this look and/but they actually quite different. This reference - 11630 is a really big watch and "boxes" in the same weight class as Omega Flightmaster and Omega 1000m. 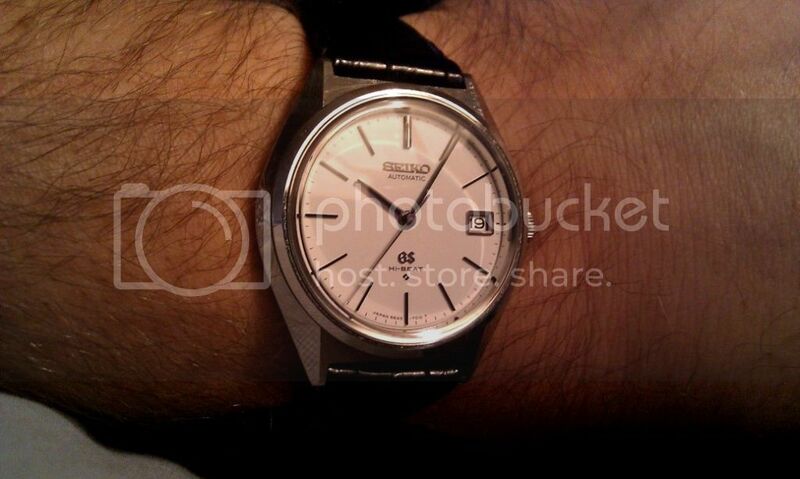 In April I met some other WIS: es and one of them just had to sell me a Seiko. I put up some lame resistance but soon caved in and I have not regretted it since. Still have not been able to take an in focus picture of it which is a pity as the watch is in very good shape and according to the "Seiko-ists" in original stand. This watch also got me banned from a Seiko forum because I quoted a sentence from the movie Apocalypse now. The moderator censored the quote and what followed was not pretty. Anyway Captain Willard (Martin Sheen) wears one of these in the film. During June I made a trade a redialed Seamaster Chrono cal 861 for a Zenith 1000m. It felt good. Still does. Somewhere around this time the last defenses fell and I bought a simple battery driven watch. I am going downhill fast. In July this found its way home. I had been looking for the right one for a while. This was it. Looks and wears best on a rubber strap. After the Seiko diver and the quartz watch all bets were off and suddenly I felt the urge for a seventies Citizen. This one was almost for free and that combined with NOS and a caliber working at 36000 (and also made in chronometer versions) I could not resist. Mid October I took care of a project that had been put off too long. Got this wath ca long time ago and now it was its turn. From 1966 and a real racer. Somewhere here everything went straight to .... And I suddenly had one more seventies Seiko. One of those GS ones. Suddenly I understood what all the fuzz was about. This is a serious high quality watch. Pity I cannot get it thru in this picture...you have to believe me. This is good stuff. November could not resist this fifties, 37mm, Longines in almost NOS condition. Cal 12.68Z. The small black markings above the logo is in the glass. Case is as crisp as can be. Sometime during 2012 I also got this sixties electroplated Polerouter. Bought to become spare parts it was found to be in very nice condition and its future is now secured. This pic shows "before" and it is now serviced and has lume in the hands. I almost forgot this one. Found at a local auction house no one else wanted it. 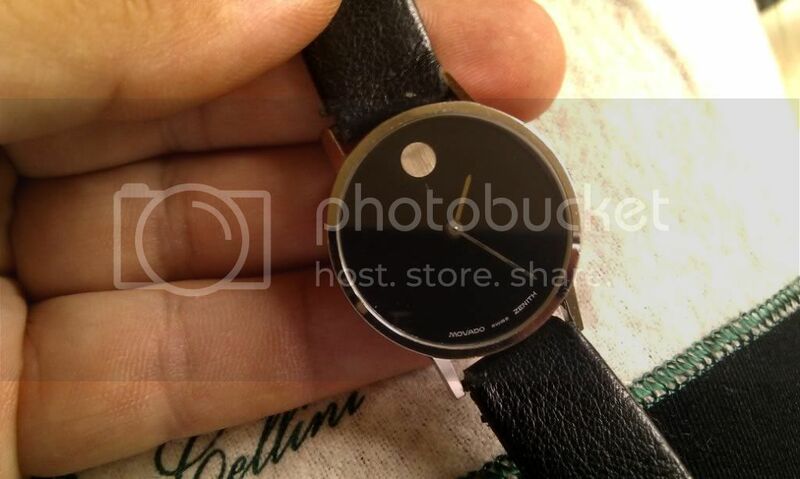 A Zenith Movado Museum watch. Please do not look at the strap...it came with the watch and has been substituted for an alligator strap of more fitting type. This watch has since been adopted by my girlfriend. In December I could no longer resist the call from a 1991 Explorer. I had been looking for a 14270 with lug holes (they had that for only a short while) and when the right one surfaced here in Sweden I took my chance. Last but not least just some time ago I finally got my hands on a real, genuine black dial Constellation. Pic showing how it came to me dirty, scratched and sad looking but when studying the dial closer it is almost perfect. Rare is a overused word but let us say it is quite unusual being black AND in good condition. 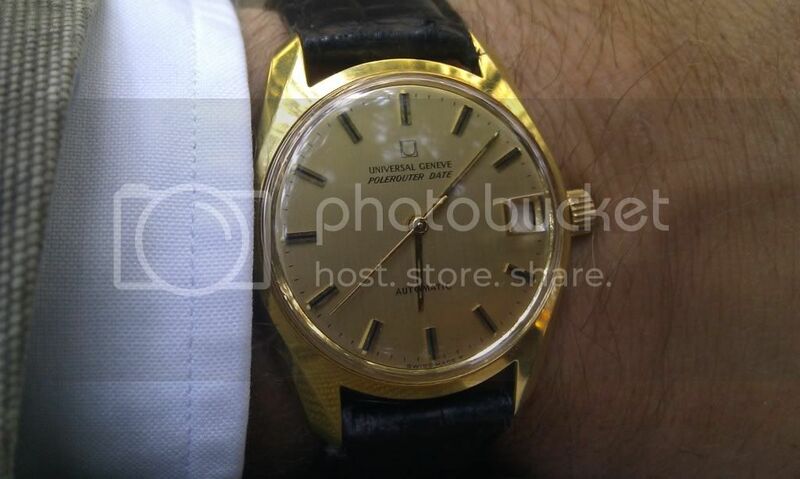 My intention is to have this dial in a 168.005 18ct case in the future. For the time being the cold cap case will do. The movement is at the watchmaker and I have the case for some gentle cleaning and TLC. Looking back on 2012 it did not turn out the way I had figured. But I guess it was OK anyway. Next Topic: what happens to the old buckles?